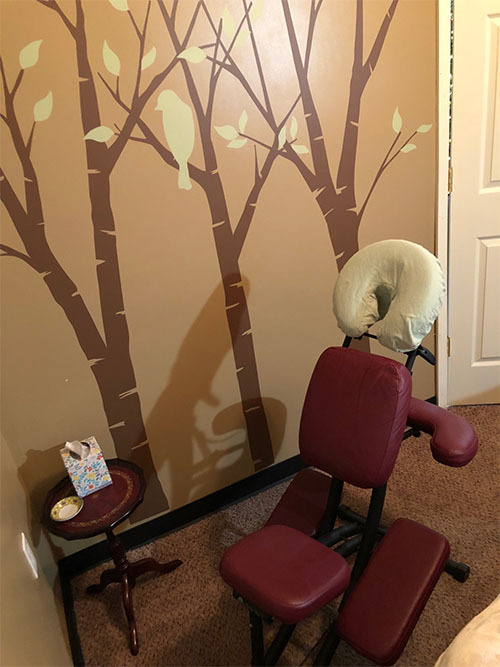 We are a full service Theraputic Massage Located in Downtown Cadillac, Michigan. We specialize in relaxation massages, deep tissue massages, chair massages, and have an infared sauna! If you any questions about group prices and packaging feel free to call or e-mail me. Book me for your next event or special ocassion; such as bridal showers, weddings, or corporate functions. Enhances relaxation, promotes well being and body awareness, supports immunity, decreases muscle tightness and restrictions, increases joint mobility and overall flexibility, improves skin elasticity, increases blood circulation, helps to detoxify the body. My mission is to provide therapeutic massage that is safe, and effective. I promise to listen to you, and work with you to tailor each massage session according to your individual needs. Communication about your therapeutic needs begins when the appointment is scheduled, you tell me what you want, what your expectations are and what areas you would like me to focus on and I will put my education, talent, and passion to work for you. Therapeutic massage is very personal, so feeling safe and secure is my number one goal. When you feel safe and secure you can relax and allow the transformation to begin. I am currently obtaining my certification in Craniosacral Therapy and expect to be certified by March of 2018. Gentle full-body Swedish massage that uses slower & lighter smooth gliding strokes to promote a sense of wellbeing. This treatment is designed to sooth & relax you, not specific for relief of chronic pain or underlying ailments. 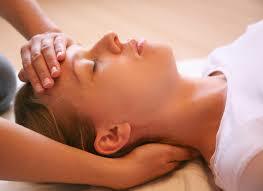 Full body treatment that uses slow, firm strokes often used to treat a variety of physical ailments. With the main emphases being on the realignment of deeper layers of muscles and connective tissues along with the elimination of trigger points. This is especially helpful for those suffering from chronic aches & pains, muscle injuries & post surgery. Also aids in breaking up scar tissue. Available in 60 & 90 minute sessions. Chair massage is a type of seated massage done in a special chair. Typically done with your face resting in a cradle looking down towards the floor with custom supports for your arms. May also be done in alternative seated position. 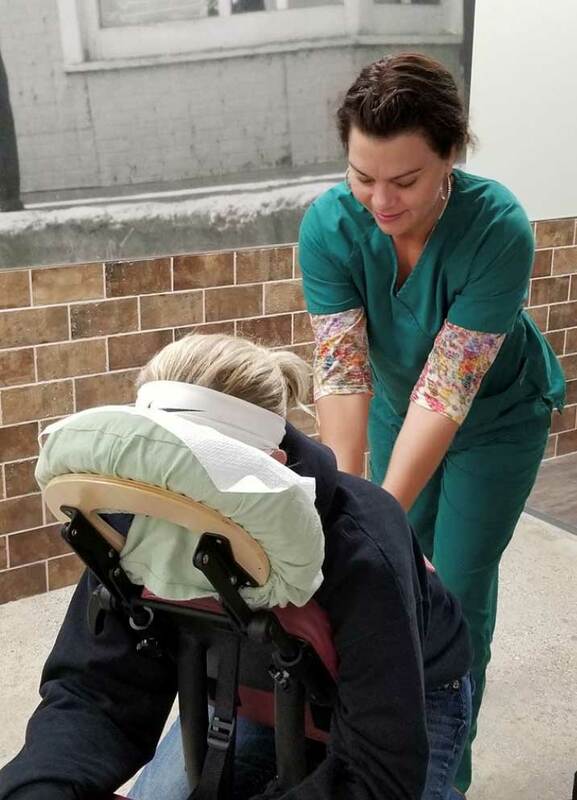 Chair massage is generally a 15-20 minute service focused on your neck, shoulders, back & arms. This type of service is great for winding down & de-stressing after a long week—ask me about special pricing for regular weekly appointments! Enhance any massage treatment with a hot towel, wrap one around your feet, neck and shoulders to take your session to a deeper level of relaxation. High qualitiy essential oils are integrated in with each massage and hot towel treatment.